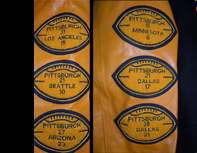 This is from the personal collection of Robert Schiloni and is not an endorsement by Mr. Hines Ward. 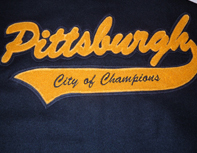 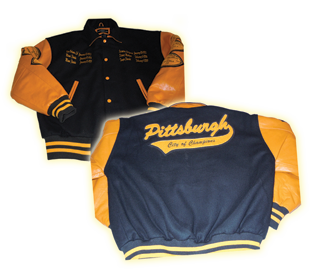 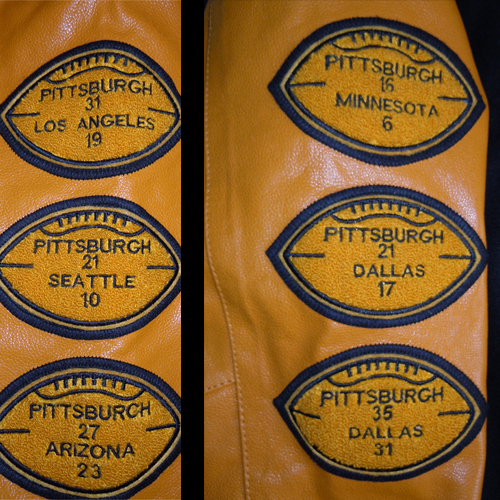 Show your Black and Gold Pride with this Pittsburgh Six -Time Champions Commemorative varsity-style leather jacket. 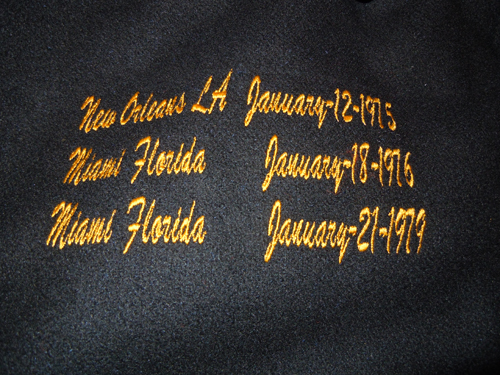 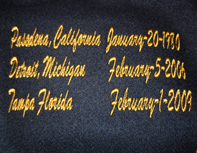 memorializing the scores of the games from each Championship year down the sleeves and the dates and locations on each front chest in gold embroidery, making it the perfect pick for staying warm while wearing your bragging rights during those chilly games! 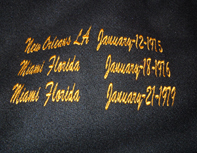 All jackets are custom made up to a size six extra large . 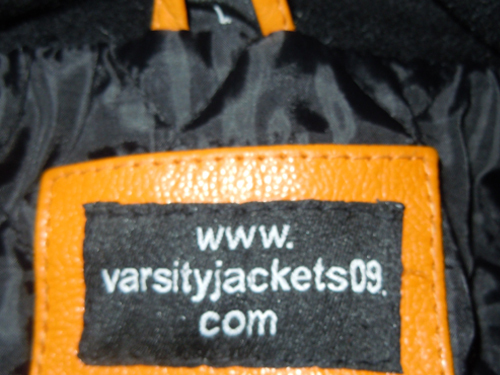 Tall sizes are available. 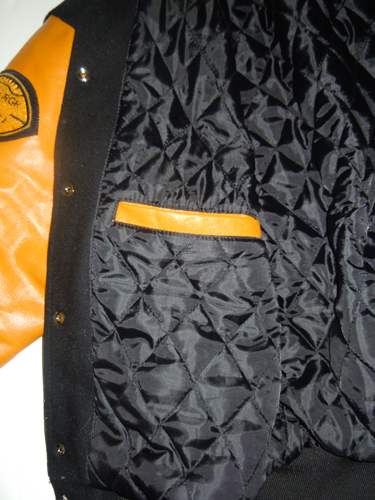 Heavyweight varsity style leather jacket with wool Byron collar leather underside. 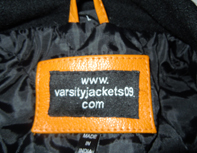 High quality snap front closure. 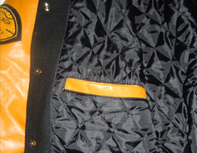 Two leather slash hand pockets. 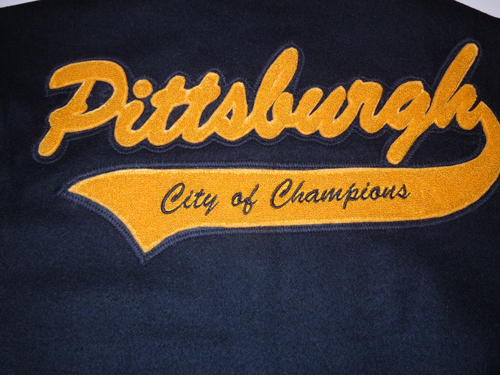 Free commemorative patch if Pittsburgh wins this year!. 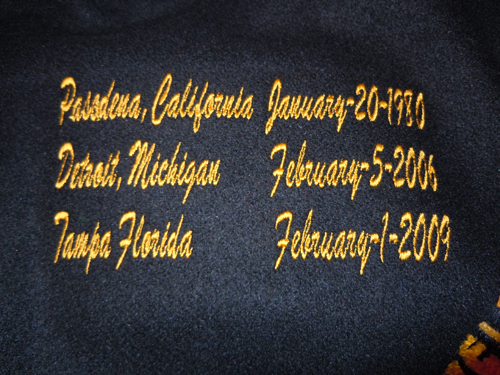 Free inside plaque embroidered with your name and date. 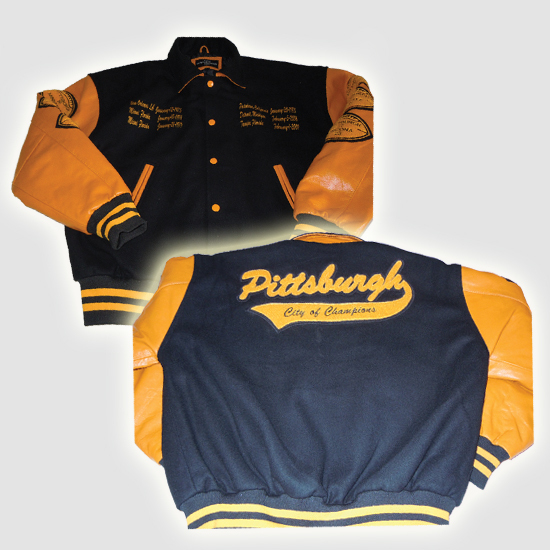 Buy The Jacket NOW !